Medha Reddy is currently a freshman at the University of Chicago. Her work has strived to advocate for those underrepresented in government. Medha’s interest in government and politics began upon her visit to the White House in 2009, where President Bush recognized her and her peers for their volunteer efforts at the annual Turkey Pardoning. She then went on to serve as the Secretary of the regional student government organization Montgomery County Junior Councils and advisor to the Student Member of the county’s Board of Education. Since these early experiences, she has continued to break down doors for women and youth. She has become the Chief Operating Officer at Youth for National Change, Public Outreach Chair for the Governor’s Youth Advisory Council, Executive Board Member of a non-profit dedicated to eradicating LGBTQ homelessness, and Founder and President of Maryland Youth Legislative Councils, which seeks to increase youth involvement in the political process. 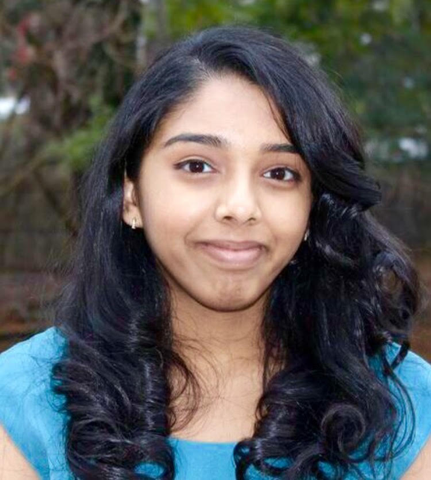 Medha’s efforts have earned her many distinctions, including becoming one of the youngest recipients of a Governor’s Citation and Maryland Women’s Heritage Center Unsung Heroine Award, as well as being named a Finalist in the Future Problem Solving International Competition. In addition to these positions, Medha provides input on possible reforms to the youth healthcare transition through the Maryland Healthcare Transition Leadership team (under the US Department of Health and Human Services Maternal and Child Health Bureau), advocates for gender equality and women’s representation in government and politics under the National Organization of Women’s Virtual Chapter, and is looking forward to launching a regional NOW chapter representing Chicago-area college students later this year. In her spare time, Medha enjoys speaking to other young people to encourage them to partake in government and politics.